At last, good news this season from Villarreal, the small town club that since they were first encountered by Celtic in 2004 have quickly replaced even the mighty Barcelona as the favoured Spanish team of most Celtic supporters. Season 2008-2009 had been a disappointing one for Villarreal. After all, they only finished 5th in La Liga, compared to 2nd the previous season. And they only reached the Quarter-finals of the Champions League compared to the Semi-finals of their previous attempt. That such a performance, 5th in Europe’s top league and last 8 in the Champions League, could be seen as a disappointment tells it own story of the miraculous progress made by the little club from the town of under 50,000 inhabitants, by far the smallest population to be represented in Spain’s top flight. 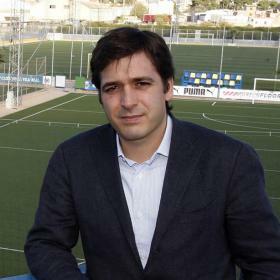 Under the charismatic leadership of President Fernando Roig, little Villarreal ended season 2008-2009 officially ranked by EUEFA as the 12th most successful club in Europe, 1 place above the ‘mightiest’ Real Madrid. Events over the summer close season of 2009 gave no reason to assume this success would not continue. The more cynical Villarreal supporters had feared that President Roig’s constant harping on about the impact of the economic crisis on Spanish football and the need for clubs to be more prudent, would mean that some of the club’s superstar players would be sold in the summer. Certainly Roig could have raised around 100m euros if he had decided to offload stars like Santi Cazorla, Marcos Senna, Diego Lopez, Giuseppe Rossi or Godin. Instead he kept all of them and in a inspired and forward thinking gesture typical of his regime, he responded to the economic crisis by becoming the only President in major world football to give all his unemployed season ticket holders free season tickets for season 2009-2010. True he did sell or get rid of 3 international stars, Nihat, Franco and Fernandez. But since the first two, forwards, had scored precisely 0 goals between them last season and the Chilean had miserably failed to live up to his ‘Matigol’ nickname, there was no mourning in the quiet streets of Villarreal. Rather there was rejoicing as Roig spent 15m euros acquiring a genuine superstar, Brazilian forward Nilmar (known after his goal of the Brazilian League 2009 season where he dribbled past 7 players to score, as Nilmaradona). Nilmar became a worthy heir to previous South American superstars at Villarreal, Uruguayan forward Forlan and Argentinean midfield genius Riquelme. In addition 6m euros were spent on promising young defender Marcano and three skilful players Fuster, Escudero and Jonathon Pereira were brought back from loans at other clubs to deepen the Villarreal plantilla, to probably the greatest strength in depth ever..
On the downside, as every Celtic fan knows, the manager who sealed the Yellow Submarine’s transition into one of the best teams in Europe, Manuel Pellegrini, was rewarded for all his efforts by the somewhat poisoned chalice of being given the task of leading Florentino Perez’s new Real Madrid project. Pellegrini’s task was to transform the bunch of imported superstar individuals into a cohesive successful team. Although part of the remit was to play entertaining football, the main aim was to ensure Real Madrid took advantage of the EUFA decision to hold the 2010 Champions League Final in their own Santiago Bernabeu stadium and win that Final, as well as ending Barcelona’s title reign in Spain. GGW has already discussed Pellegrini’s degree of success in these twin aims (See the relevant Spanish Scenes posts). However on the old nostrum that one way to be appreciated is to leave, there is no doubt Villarreal have heightened their appreciation of the man who led them for 5 fantastic success-filled seasons. The new Manager Ernesto Valverde, although fresh off a double winning season in Greece with Olympiakos, never seemed comfortable with the legacy left him by Pellegrini. He seemed bemused by the decisions he faced to either keep faithfully to the Pellegrini system, amend it slightly or abandon it and introduce his own. The changes he made, for example splitting up the Double G centre back duo, didn’t work. He dithered backwards and forwards, losing the respect of key players like Eguren, Pires and Gonzalo. The team made a disastrous start to the league programme and by week 7 were actually bottom of the league. Altogether they spent 5 dreadful weeks in the relegation spots. There isn’t space here for a detailed analysis of where Valverde went wrong. For that GGW readers will have to await my book “The Yellow Submarine” due to be published in September 2010. Suffice to say he seemed totally unable to set out a team that could secure victory. The most blatant and awful example of too many was the second leg of the Copa Del Rey tie against second division Celta Vigo. His team had played dreadfully in Vigo but emerged with a 1-1 draw, meaning even a 0-0 draw at home in the second leg would see them through. And incredibly that was what he set out his side to play for, at home against a Celta reserve side that came expecting a hammering. One forward up front, 5 men falling over each other in midfield. Madness. No doubt Valverde would have been happy with the 0-0 he would have got but for a ludicrously late penalty box challenge by full back Angel in the 90th minute that gave a bemused Celta team a deserved victory. It was the biggest tactical disaster in Europe since Walter Smith played the same 4-5-1 defensive formation, proven as useful against teams better than Rangers when playing away, at home against lowly Kaunas and blew their budgeted Champions League revenues for 2008-2009 away. The Cup draw for once had been kind to Villarreal and only an erratic Atletico Madrid side, already beaten by Villarreal in Madrid in the league, stood in their half between them and a first Final appearance. But Valverde’s incompetence let Celta reserves deprive them of that golden opportunity for a first trophy. The humiliations did not end there and finally even the surprising super-tolerance of President Roig snapped at the end of January after a string of dismal displays. The decision to sack Valverde was not challenged by any Villarreal supporter I know, the only debate being over the late timing and exactly when he should have been dismissed earlier. Roig redeemed himself from this uncharacteristic lapse by the inspired appointment of Juan Carlos Garrido asValverde’s replacement. Garrido had been Director of Football at Villarreal’s amazing Cuidad Sportivo complex, in overall charge of their 40 odd youth teams and had taken the Villarreal B team to two separate promotions from the 4th tier to promotion in 2009 to the Segunda League, making Villarreal the only La Liga team to have their reserve team in the second division. He continued this success into the Segunda League and by the end of 2009 the Villarreal B team were in 4th place. The Villarreal B team showed how it should be done, going to Vigo on league business and winning comfortable. Under the strong persuasion of his son Fernando Roig Negueroles who had administered the rise of the B team in 10 years from the fifth tier Regional league to the Second Division, Fernando Roig took a chance and promoted Garrido to the top team, on a trial basis until the end of the season. The effect was instantaneous. Garrido, who brought his brother Raul with him from the B team as his assistant, changed the atmosphere into a positive one. He restored the basic Pellegrini principles of ‘possession, passing and pressure’ without blindly reinstituting the whole Pellegrini approach. Indeed he showed himself more adventurous then Pellegrini had ever been, instituting a 3 man strike force of Nilmar, Llorente and Rossi. He restored the Double G defence force of Godin and Gonzalo and clean sheets began to return. He of course knew all about the abilities of the B team and since his appointment a whole succession of bright young talent, like Mussachio, Matilla, Marcos, Cristobal, Ruben, Catala, Jefferson and Oriol have been given their chance as replacements for injured first squad players and none have let him down. Slowly the team began to climb up the table, and the impossible dream, of qualifying for Europe, began to become an attainable goal. He did make one or two mistakes, products of his inexperience at the top level. Having established the 4:3:3 pattern as the successful working model he rashly abandoned it in away games against Malaga and Getafe resulting in the loss of 6 achievable points. But his reformed team, with a renewed faith in itself, worked itself securely up the La Liga table and finally after the 2-1 home victory over Atletico Madrid on Saturday 17th April Villarreal were up to 6th place in the table, the minimum required to ensure a Europa League slot for next season. The headline in the local Castellon paper was “Tonight Villarreal sleep in Europe”. Results the next day went in Villarreal’s favour and against their two nearest challengers. Getafe lost away to Tenerife and Athletic Bilbao could only draw at home to Zaragoza. So for the next week “Villarreal will sleep in Europe” secure in 6th place with their destiny finally in their own hands at last. Their 3 remaining away games, against Racing Santander, Almeria and Zaragoza all should be winnable. Their two remaining home game should be very interesting. On Saturday 1st May they play at home to Barcelona. Already the town is getting quite fevered over the Barca game and it is likely to be a complete ticket sellout. It would please many Villarreal fans if they could do Pellegrini a massive favour and take 3 points of Barca. Their final home game is against bitter local rivals Valencia and should also be winnable. So while it will not be easy, it is within the capabilities of Garrido’s revived Villarreal team to secure at least 6th place and so qualify for Europe for the 9th consecutive year. Some of the more romantic dreamers even still hope that Mallorca and Sevilla could yet both collapse and allow the Yellow Submarine to reach 4th place but most would quite happily settle for that 6th place.